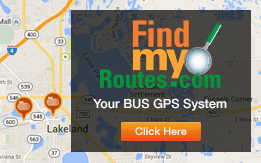 On June 27, 2007, the Florida Legislature created the Polk Transit Authority which is an independent special district for purposes of providing mass transit services to the citizens of Polk County. The PTA has a Board of Directors made up of nine voting members and one non-voting member that represent the citizens of Polk County and its municipalities. The PTA is independent from the Board of County Commissioners and the municipalities within the county. The Polk Transportation Planning Organization conducted a Countywide Transit Study in 2003 which provided evidence that increased coordination and cooperation among transit providers was needed. The Polk Regional Transportation Organization (RTO) was created in 2004 to increase coordination of the existing transit services and lead the transition to a new countywide transit system. The RTO Board members, along with the Transition Committee, worked on drafting the legislation presented to the Florida Legislators in 2007 to form the PTA. On July 27, 2007, Governor Crist signed Bill 777, officially forming the PTA. The PTA Board of Directors was seated and held its first meeting on February 27, 2008, in Haines City. Citrus Connection and the Board of County Commissioner’s activities relative to transit services have consolidated all functions under the Citrus Connection banner to enjoy some economies of scale and be good stewards of the taxpayers’ dollars. To that end all phone activities relative to any transit service, fixed or paratransit, are handled through a consolidated Regional Mobility Call Center located in Bartow. By calling one number, 855-POLKBUS (765-5287), a person will be able to get information on the city buses, paratransit services, Medicare transportation and services available for the transportation disadvantaged. The Call Center opened in July, 2013 and has made access to transit a simpler process. Other service combinations we are proud to provide under the Citrus Connection banner include county-wide fixed route service in western and eastern Polk County, consolidated paratransit service and all support functions including safety and security, facilities, marketing and much more. We will continue to search for more Universal Access programs to provide more transit options for more people. We will also explore public/private partnerships for additional service.